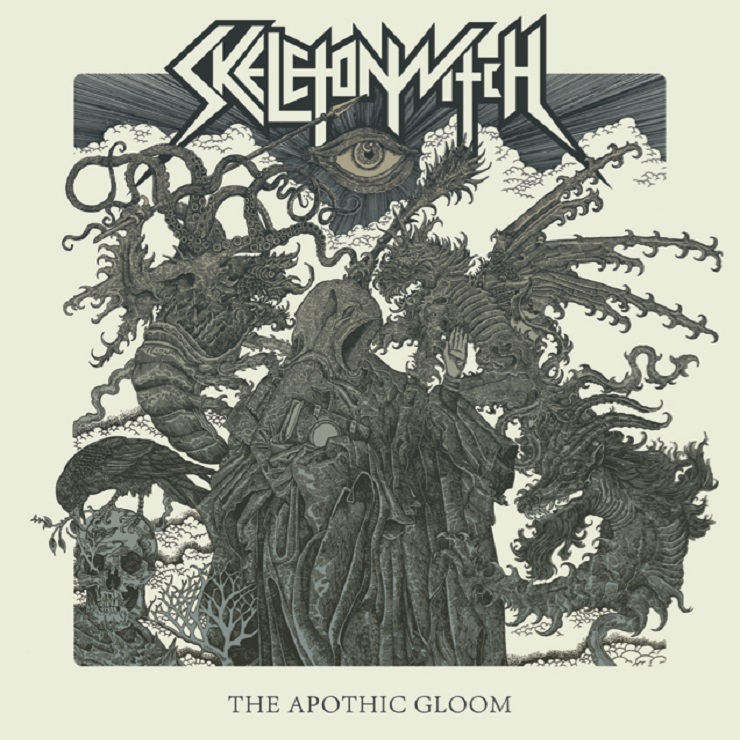 While Skeletonwitch's The Apothic Gloom, their first record with their new singer, will be out later in the summer, the thrash masters have unveiled another bangin' track ahead of time. Rejoice, for the band's epic "Red Death, White Light" is streaming now. The tune follows the recently streamed "Well of Despair," and likewise pushes the pipes of Wolvhammer's Adam Clemans to the forefront of the arrangement. The seven-minute song has him howling savagely above a mix of wickedly picked, NWOBHM-style guitar harmonies, revved-up metal beats and more. The Apothic Gloom sees release August 19 via Prosthetic Records, but you can stream its closing cut down below. There, you'll also find info on Skeletonwitch's upcoming North American tour.